Although my career is in travel I am always attempting to reach out to you on my blog page the first chance I get on the ground. Sometime it’s doable however, if I’m out of the country there will always be a delay. That I can manage, however, when my blog page is consistently inaccessable due to technical problems is personally an unacceptable level of tolerance for me. 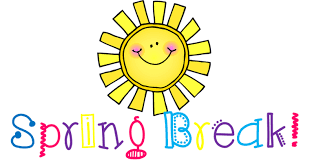 Considering, please follow me on Facebook to stay apprised of…..
Is it really spring break already? 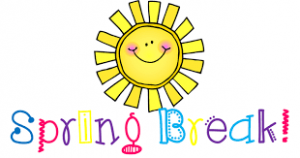 Where is this school year going, and do you realize in just a few short months summer vacation will be here? You see, this is why I say both in my book, on my Facebook page as well as here to savor these years and this time with your child regardless of age or….. It is no secret social media is one of the most important consumptions of our daily lives second maybe only to chocolate! Personally for me I consider myself a social media minimalist and were it not for the opportunity it affords me to reach out to single parents around the world, I can honesty say I would probably not at all be a regular user. Although its advantages are many it also comes with some dangerous liabilities. Let’s talk…..
First, let me say how very much I have missed the inability to correspond with you and share information with you on my blog page. As you are aware I have had ongoing problems accessing my blog pretty much since it has been in existence and just when I think all is resolved the system says otherwise by my inability to get to you. This has frustrated me beyond what you might imagine. I am simply so glad…..
Two days ago when I returned home from my usual four day trip I suddenly found myself feeling “heavy”. You know, when you feel like you are literally carrying a forty pound bag of something on your back? So I began to talk myself through that downward feeling while trying to understand its source. I just had a great trip with a great crew, met “someone” I was happy to meet, and although I gravely dislike the area of…..
It’s that time of year once again where everything we see and hear is sending us messages to spend, spend, and spend more often than not, money we don’t really have. Before you get caught up I caution you to think about what spending has to do with love and being thankful? Not to mention it’s much easier to “love” when stress is lessened therefore debt can only increase ones stress level. Thankfulness should be a daily practice, a…..
Do you know what Lean is??? This week I learned of a new drug that is increasingly popular with some adolescents that I want to share with you. It is called “Lean.” Have you heard of it? I had not before today. As with any drug, it’s simply dangerous and a direction no reasonable parent should ever want their child to go in. Everything about chemical dependency is bad, everything, and for kids it’s the worst of all evils setting themselves up for a lifetime…..
How prepared are you for…..
It’s that time for most school districts to begin preparing for parent/teacher conferences. Do you realize how important this meeting is for the success of your child’s education? Let me give you a few reasons why. First, it’s important for your child to see you involved in his or her school, children are proud to see and hear their parent met with their teachers IN SPITE of what thay might tell you! Second, it lets your child’s…..
A HUGE thank you to those of you who participated in our single parent survey! Each of you provided meaningful input and suggestions that will not only benefit yourself but also every parent visiting this blog. Single fathers never would I ignore you, but this post is geared to mothers only because of the girl factor! If you have a significant person in your life feel free to share this with her however, she will probably find it meaningful! As single mothers you probably feel a financial “pinch” on a fairly regular basis, I know I did. That was the “Ying” side of me. : ) As a former make-up artist the “Yang” side was…..